As part of its focus in 2017 on making the world healthy, not hungry, Project Everyone has teamed up with the United Nations World Food Programme (WFP) and the European Commission’s Humanitarian Aid Operations to spread the important message about Goal 2: Zero Hunger. Thus, in collaboration with the amazing Aardman Animations, they have produced a new film together telling the story of Ethiopia, which in 2015 was hit by the worst drought in 50 years threatening the lives of 10 million people. But international support and years of hard work meant the country was able to help families stay on their feet and prevent a humanitarian disaster. With special focus on children, single-parent households and pregnant women, nutrition, food and cash assistance was delivered to those most in need, including refugees. Ethiopia hosts more than 700 000 refugees, mostly from war-torn South Sudan, Somalia and Eritrea. With drought and conflict threatening hunger for millions of people around the world, accelerating action is more urgent than ever. This February 2017, famine was declared in South Sudan and the prospect is looming in 3 other countries (Somalia, Yemen, Nigeria). And in Ethiopia, just as people are starting to rebuild their lives, a new drought has hit parts of the country and the wider region again, threatening the lives and livelihoods of millions of people. The film shows that if we take action together, no one today, in Ethiopia, or anywhere else in the world, need go hungry. With drought affecting parts of Ethiopia once again we need to keep up the fight for #ZeroHunger. 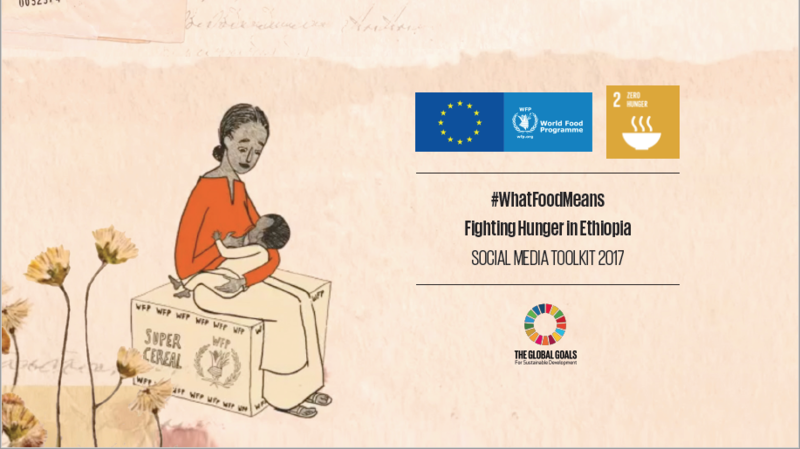 As part of the #WhatFoodMeans campaign, the European Commission’s Humanitarian Aid Operations and the United Nations World Food Programme invited five chefs to Ethiopia to meet the people who received their aid and witness first-hand how humanitarian aid is saving lives and building futures. On their journeys in Ethiopia; Frank Fol from Belgium, Anna Stormach from Poland, Mikkel Karstad from Denmark, Clara Perez Villalon from Spain and Simone Rugiati from Italy, will learn about traditional Ethiopian food and hear stories about what food and the lack thereof means to local people. 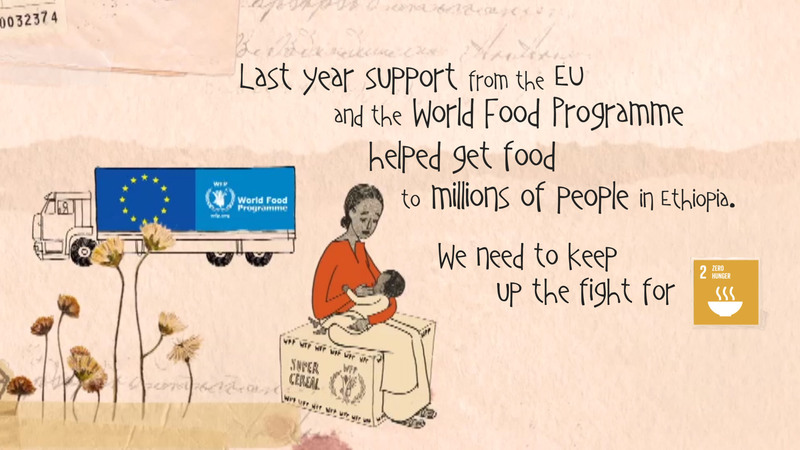 Want to join in the #WhatFoodMeans campaign? Use the What Food Means Social Media Toolkit. Spread the word about how by working together, we can drive progress by sharing the #WhatFoodMeans video, showing your support on social using the suggested posts and/or shareable assets, and telling the world #WhatFoodMeans to you!